St Joseph’s Parish would like to advise that the Children’s Liturgy sessions will commence this Sunday 10 February at the 8.00am Mass. Welcome to the 2019 school year. This week has been a wonderful rollercoaster of emotions for many, myself included – the excitement of the first day, the meeting of new people and the learning curve associated with getting to know new teachers and new subjects. I would like to take this opportunity to introduce myself to the community. My family and I moved to Northam at the end of December and are beginning to feel very settled. I have a lovely daughter, Cara, who has started at the school in Year 2 and my husband is working in town as well. We hope to become involved in many of the sports on offer in Northam and as a family we like exploring the new places. I welcome any opportunity to have a chat and meet new people, so please feel free to contact me with issues, concerns or good news stories. We welcome 98 new students and their families to St Joseph’s this year. We hope that the transition to our lovely School has been smooth and enjoyable for all. I would encourage families who have been at St Joseph’s for a while to reach out to the new families in your children’s classes. We also have new staff to the School. 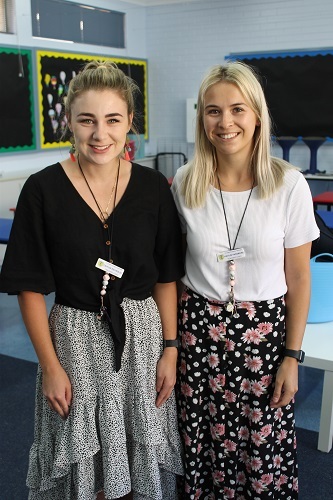 On the Primary Campus Ms Kaitlyn Passmore is teaching Year 2, Ms Caitlin Reynolds is teaching Year 5 and Ms Cherie Joy is joining us as an Education Assistant. On the Secondary Campus, Mr Niall Oman is teaching D&T and Mr Rosendo Angeles is joining the Maths Department. 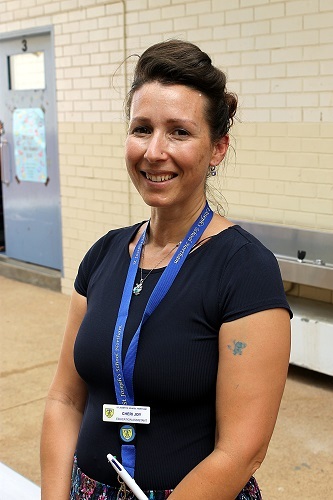 Mrs Sue Horsburgh has moved from the Primary to the Secondary Campus as an Education Assistant. 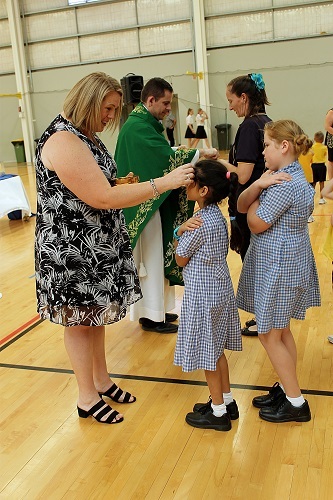 We celebrated our first Whole School Mass of the year yesterday and, for the first time, we had too many students for the Church and had to hold it at the Rec Centre. Many thanks to Mr Reidy for organising the lovely Eucharistic celebration and to Fr Konrad, our new Assistant Priest, for leading us in the Mass. At the Mass, I introduced the theme for this year, ‘Holy Today’! This is a call for all of us to look beyond ourselves, to see a need and do something about it. It is a time to ask ourselves, “What have I done for someone else today?” Later in the term, all students and staff will receive a badge that contains three small footsteps. This is to remind us to follow in the footsteps of Jesus, to be people of action and to be of service to those around us. 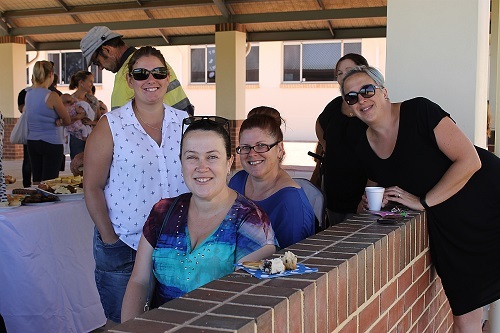 The P&F helped to soothe the nerves of many parents with the opportunity for a cuppa and a chat after drop off on the Primary Campus on Monday. Thank you to those who organised this. 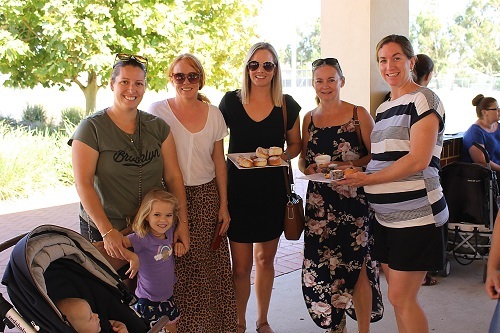 A larger (and very yummy) ‘welcome back’ morning tea was held this morning and a large number of parents took advantage of this opportunity to meet new people and make contact with old friends. Again, thank you to all those involved in organising this event. I would like to congratulate the 2018 Year 12 students on their wonderful results – both ATAR and VET students. St Joseph’s School community is proud of your efforts. For more information, see the comments in Secondary News. This weekend, Mr Vernede and myself are taking the 2019 Secondary student leaders on their Leaders Camp at Muresk. I am looking forward to getting the feel of the school from the student’s perspective. They seem like a very proactive group and I am keen to hear their ideas. A word of warning to our families to end with ~ we have been advised by the Shire of Northam Rangers that beginning Monday 11 February they WILL BE FINING drivers who are incorrectly parked around our School. Please show respect and courtesy to our neighbours, the bus drivers and fellow parents by parking in the correct places. Welcome to the 2019 school year! I thoroughly enjoyed hearing all the holiday stories and seeing the exciting looks as the students arrived on Monday morning. 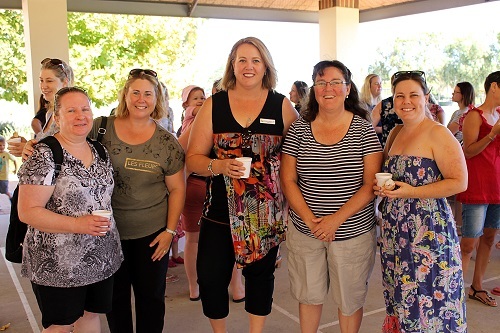 A special welcome to our new families who are joining St Joseph’s School community, especially our new teaching staff. I sincerely hope that you enjoy your time with us. Hi, my name is Caitlin Reynolds and I am the new Year Five teacher at St Joseph's School. I am a graduate teacher, having completed a Bachelor of Primary Education at the University of Notre Dame. I grew up and attended school in the Fremantle area and on the weekends can usually be found outdoors, especially at the beach! I am incredibly excited to be joining the School community and look forward to meeting the parents and students at St Joseph's. Hi everyone, my name is Kaitlin Passmore. 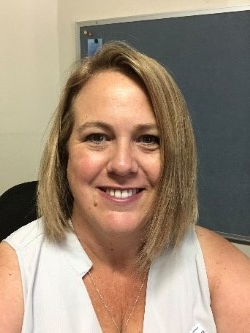 I am the new Year 2 Blue teacher and I am beyond excited to be teaching here at St Joseph’s School in Northam for 2019. I attended Santa Maria College in Perth, followed with the completion of a Bachelor of Primary Education at Curtin University. 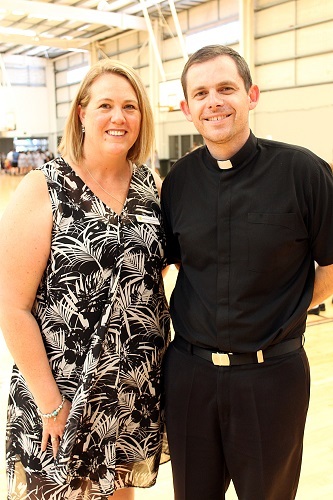 I am very fortunate to get my first teaching job here at St Joseph's School. My family and I are originally from Exmouth, so it's amazing to be back in a smaller community again. I enjoy all sports, being outdoors, especially going out fishing or diving. I'm a proud West Coast Eagles Fan! I am looking forward to meeting many of you throughout the coming school year. My name is Cheri Joy. I was born in Northam and have lived here most of my life. I qualified as an Educational Assistant in 2001 and have worked at 6 different schools, including metro and country schools since then. I look forward to helping your children in Kindy and Pre Kindy this year. Parents and guardians are advised of the Parent Information Meetings that will occur this term. Year 6 Camp Parent Meeting will be held on Thursday February 14 at 5:30pm in the Year 6 classroom. If you are unable to attend these meetings, please contact your child’s teacher via the communication book or School Diary and the information will be sent home. All parents/guardians and visitors must sign in at the Admin Office before engaging in any activity or if a student is picked up or dropped off outside normal school times. Parents are requested to arrive no earlier than 3.00pm [Mondays, Tuesdays, Wednesdays and Fridays] or 2.25pm [Thursdays] when collecting a student at the end of the day. Similarly, parents are expected to depart the school grounds in the morning at the ringing of the bell or when the siren goes. It can be disconcerting to a child adjusting to the new routine if they can hear their parents chatting outside their classroom. 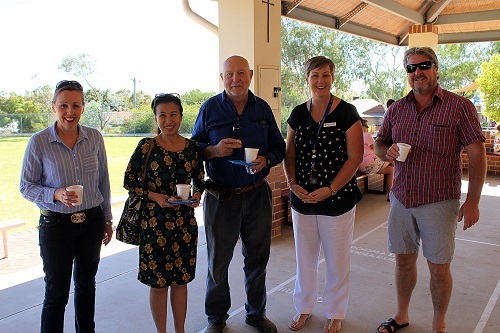 Welcome back to all students, staff and St Joseph’s School community for 2019. We especially welcome any new members of staff and students who have joined the School. The start has been smooth with all students receiving their timetables and lockers. Any changes to classes since 30 January may not be reflected in SEQTA, due to technical faults. This is being worked on currently and students will be able to access their SEQTA in due course. New families will be receiving a “Welcome” email to join the SEQTA community so you can view your child’s progress. Students will have received their emails during classes this week. There are a number of important upcoming Secondary events. 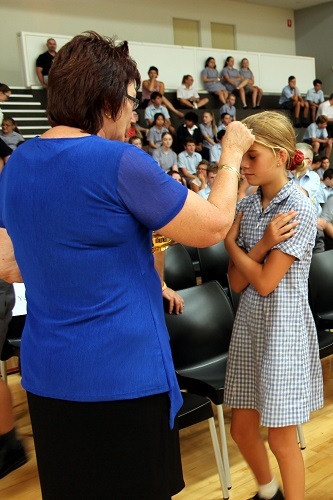 Next week on Wednesday 13 February is a Years 7 to 12 Parent Information night, which will commence at 6.30pm. This evening will provide an introduction and overview of key practices in our School as well as an opportunity to attend a concurrent session for Years 7 and 8, Years 9 and 10 or Years 11 and 12, which will provide additional relevant information for those year groups. Prior to this, at 5.30 pm the School's P&F Association are hosting a ‘Meet & Greet’ session (Soiree); a great opportunity to mingle and socialise with others over light refreshments. We encourage all parents and caregivers to attend. At 6.30 pm on Wednesday 27 February, there is an ICT parent evening scheduled. This will be a great chance to explore the use and application of technology in the secondary classrooms; with resources such as Microsoft Teams, Education Perfect and Clickview being demonstrated by our staff. Please bring your child’s iPad for use during this workshop. Homework classes will commence on Tuesday 12 February from 3:10pm to 4:10pm. Students are required to complete and return the Homework permission form available from the Secondary Admin office. We would like to acknowledge all our 2018 Year 12 cohort who demonstrated sound results across many areas. Some highlights included a School Curriculum and Standards Authority (SCSA) Certificate of Distinction being awarded to Jayde Williams. A certificate of Distinction is awarded to students who have achieved 190-200 points in Year 11 and Year 12 courses (including any certificates or external awards). These points are accrued through the awarded grades with an A grade at the ATAR level being the equivalent of 10 points. A fabulous result, which demonstrates the high achievement that he obtained through determination. An additional award was a SCSA Certificate of Merit, obtained by Belinda Johnson. A Certificate of Merit requires an accumulation of 150 to 189 points in senior secondary. Congratulations to Belinda Johnson! Both awards bring much credit upon these students and to the ongoing support of their teachers, not just in Year 12, but the many years of teaching and learning leading up to this. Well done to all of these students with their ATAR results! We wish them all the best in their ongoing academic pathways. Welcome back to all students. We should all be refreshed and energised to begin the next chapter of our educational story, which has additional meaning for those commencing their secondary journey in Year 7, or the very exciting world of senior secondary in Year 11 or the final year, with only three terms to go. At this stage, it is all very thrilling, with new books, new files, new teachers, new work, new technology and, we may have even started a little homework, or perhaps not. If there is no assigned work, which is required for the next day or lesson, does this mean I have a free night? The answer here is, NO. As for homework, page 12 of the School diary gives guidelines for students from Years 1 to 12, ranging from 15 minutes reading to a minimum of three hours, five times a week (senior secondary students, that’s interesting as to complete your course successfully you should spend at least 15 hours a week on your courses). Another important read can be found on pages 13 and 15 to 21, which outlines our School’s Assessment and Reporting Policy as this includes details about responsibilities of submitting work and the consequences for not doing so, along with testing and examinations procedures. At this stage, slow and steady but not for long. So progress into a routine and be prepared to maintain this, as within the next few weeks we will be into our regular structure with all areas well-immersed into the programs, which means juggling regular homework, reading, worksheets, assignments, essays, projects and all the other essential items that will demonstrate your learning. By developing this routine now, your educational story this year should be a great read. 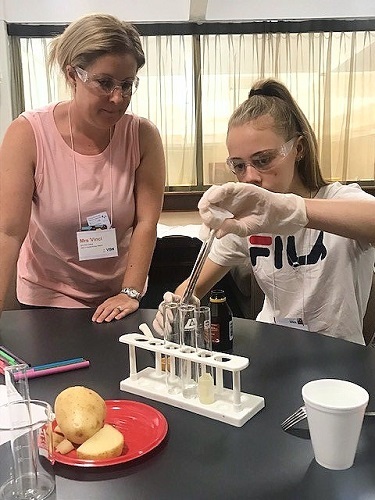 Six Year 11 students are completing their final component of the CEWA ViSN (Virtual Schools Network) training and commencing course work at the ViSN induction camp at St Thomas More College, which started on Thursday afternoon and will finish on Saturday. 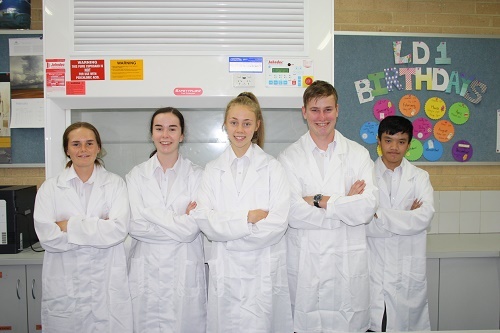 Katie Harris (Human Biology), Jelena Manuel, Hannah Morrison, Taylah Page, Francis Nguyen and Jonathan Ryan (Certificate II/III Business) will be doing workshops in study skills, time management, online course delivery and commencing related content with their ViSN teacher. This will also be a great opportunity for these students to meet others who are also enrolled into the same online course. We wish them all the best for the camp and success with their courses. I wish to take the opportunity to state our absentee procedure. Parents/guardians are asked to call the Primary or Secondary office prior to 9.00am on the day to notify us of your child’s absence, otherwise you will receive a text message from the School advising of an unexplained absence. Our telephone system allows parents the opportunity to call and leave messages outside of normal office hours. Alternately, you may use the absentee note on the website or send an email message to admin@sjsnortham.wa.edu.au to notify of an absence. These emails will then take the place of written notification. If you would like to contact the School or an individual teacher, please ring the Office at either campus to arrange an appointment with the person you would like to see. The School Diary is also another means of communication for students from Years 3 to 12 and should be used to record homework and brought home every day. Parents are encouraged to check the Diary daily. Students in the younger years will be using a Communication Book which will have letters and/or notes from teachers stuck in. As with the Diary, parents should refer to this Book daily and can use this as a means to notify their child’s teacher of any concerns or absences. Parents are reminded that for the safety of the students on the Primary campus, they are not to use the school car park as a dropping-off and picking-up zone. There is ample parking along Uralia Terrace and Lance Street for this purpose. Please be mindful of nearby residents’ driveways when parking in the streets. Likewise, parents dropping-off or collecting students from the Secondary campus are reminded to observe the 10khm speed limit and follow the directional arrows marked on the Church car park grounds. This week, our 2019 Parent Handbook will be sent home to each family. It is an updated collection of the relevant School Policies and we refer our parents and guardians to the various Policies and Processes that have been updated this year. An electronic version is also now available on our website. The 2018 School Magazine will also be coming home with the Handbook. Please make sure you check your child’s school bag for these items. Parents are encouraged to return the various forms sent to you at the end of the 2018 school year as well as a prompt return of the forms distributed to all students this week. The parent calendar of school events for 2019 is available on our website and as an attachment to this newsletter. We encourage all families to download a copy (or collect a paper version from the Primary Admin Office) for easy reference. The full year’s School fees will be issued within the next few weeks. Unless you are paying by Direct Debit (DD) or another regular payment scheme, the School requires payment of at least 1/3rd by Friday 8 March. Those parents on the HCC/PCC Scheme must visit or contact the Primary Office by Friday 15 February so discounted fees can be calculated and the Secondary Assistance Scheme (SAS) Rebate claimed (if applicable). I would like to welcome all our families to the new school year. A Canteen Assistance request letter has been sent home to each family this week. Please consider offering to work in the Canteen as without your generous support, we would not be able to provide this service to our School. The 2019 Summer Menu is available on the website and in each Primary classroom.